Gilles Peterson will be coming to town next month. The globally renowned dance music icon and tastemaker will be in Singapore for an exclusive one-night only performance alongside MC General Rubbish and Singaporean heavy-hitters Darker Than Wax's Funk Bast*rd and KAYE, who'll be performing as their formidable duo incarnation Cosa Nostra. This will undoubtedly be a night of brilliantly vivid, next-level sounds. 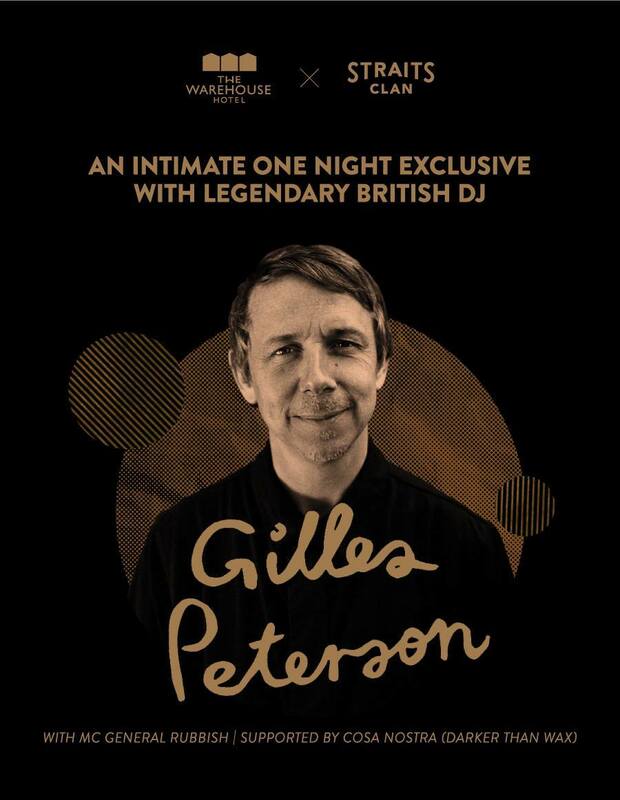 Catch Gilles Peterson live in Singapore on Monday, November 5, at The Warehouse Hotel. Doors open at 8PM. Tickets, $48, are available here.